Reflect your inner health outward with globally-inspired, technologically advanced skin care. The HydraFacial is a results-oriented skin treatment that delivers clearer, more hydrated, younger-looking skin immediately using a combination of powerful serums is clinically formulated to improve your skin’s appearance. Cleanse, Exfoliate, Gentle Acid Peel, Vortex Extractions, Hydration, additional extraction time & application of the antibacterial LED Blue Light. Only HydraFacial uses patented technology to cleanse, extract, and hydrate. HydraFacial super serums are made with nourishing ingredients that create an instantly gratifying glow. In as little as 30 minutes, it delivers longterm skin health and can be tailored to meet the specific needs of all skin types. HydraFacial offers instant, noticeable results with no downtime or irritation. Beauty-oriented skin resurfacing and facial masks have been around since the Middle Ages. From sour milk to pumice stones to Cleopatra applying beautifying masks to her face, the desire to cleanse, brighten, and tone the skin continues in popularity to this day. HydraFacialMD® is a multi-step treatment that uses a powerful combination of serums through the Vortex-Fusion® delivery system. Your skin is cleansed and exfoliated while impurities and dead skin cells are removed, allowing for an infusion of antioxidants, peptides and hyaluronic acid. There is no discomfort during a HydraFacialMD® facial. It is often described as feeling like a cool paintbrush moving slowly over your face. Since there is no downtime, you may apply make-up and resume normal activities following the treatment. HydraFacialMD®’s delivery system of serums effectively helps diminish environmental damage, reduces fine lines and wrinkles, and firms your skin for long-term results you can see and feel immediately. Yes, HydraFacialMD® is a safe and effective treatment with zero downtime. Many call this the “lunchtime facial” since you can resume normal activity immediately after the treatment. Our all-natural spa facials leave your skin feeling cleaner, brighter and more hydrated. An excellent way to maintain healthy, vibrant skin. Individualized to your needs by a ZAZEN aesthetician, experience exfoliation, masks, serums, and moisturizers that leave your skin feeling cleaner, brighter and more hydrated. For all skin types. Designed to calm, brighten, and moisturize your skin using CBD, a cannabinoid chemical from hemp plants that calms the skin and promotes inflammation-reducing qualities. A gentle suction is applied to your skin to gently lift the facial tissue, resulting in increased blood circulation, stimulation, purification, and the draining of the lymph nodes. Skin looks visibly tighter and brighter. As we age, our skin cell turnover rate slows down, resulting in acne, wrinkling, and lackluster skin. The ZAZEN Wellness Spa Facials use all-natural forms of exfoliation to slough away dead skin cells at a faster pace. Our masks, serums and moisturizers will leave your skin feeling cleaner, brighter and more hydrated. The concept of the facial mask could be considered one of the earliest types of cosmetic rituals. From ancient China to ancient Egypt – Cleopatra is said to have frequently applied beautifying masks to her face – the desire to cleanse, brighten, and tone the skin continues in popularity to this day. As we age, our skin cell turnover rate slows down, which can result in acne, wrinkling, and lackluster skin. Our spa facial uses all-natural forms of exfoliation to promote the natural sloughing of dead skin cells to occur at a quicker pace. Our masks, serums and moisturizers will immediately leave skin feeling cleaner, brighter and more hydrated, resulting in more beautiful skin. A ZAZEN Spa Facial is suitable for both women and men of all skin types. Our facials begin with an in-depth skin analysis to customize to the individual needs of each client. It includes a cleanse, exfoliation, extractions, facial massage, and application of all-natural masks, serums, and moisturizers catering to your specific skin needs. 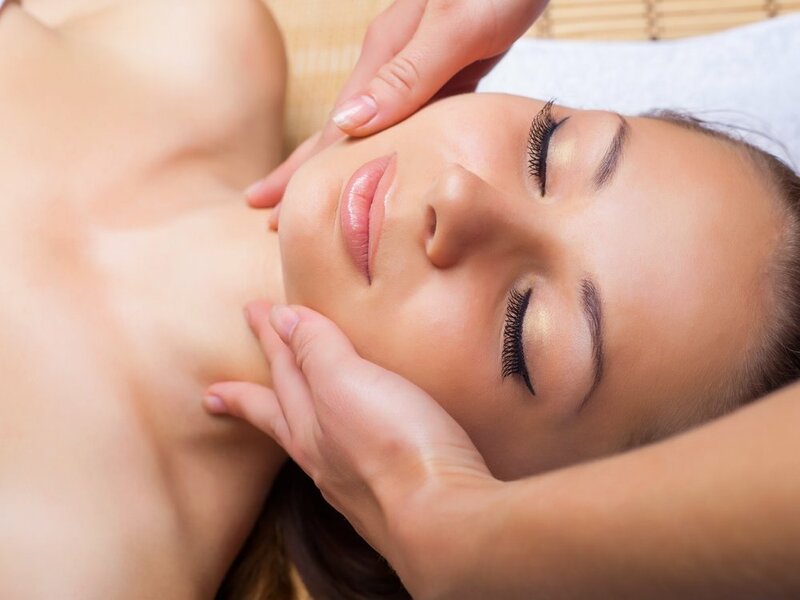 You will experience a relaxing massage to the face and décolleté. Our goal is to provide results catering to your individual needs. This is an excellent service for all skin types and an ideal start to a personalized monthly skincare regimen. These facials are great for maintaining healthy skin, are pain-free, and will leave your skin cleansed, hydrated, and protected. Yes, ZAZEN Spa Facials are very safe for your skin. You may experience very mild dry, red, or light breakouts, but this is completely normal. The VI Peel is a gentle, yet powerful medical-grade chemical peel that safely removes the damaged layers of the skin. It promotes cellular turnover and leaves skin smoother, clearer, firmer, and more radiant. For Anti-Aging Skin. Specifically formulated to rejuvenate aging skin and help prevent future damage. For More Advanced Aging Skin. Specifically formulated to rejuvenate harder to treat aging skin and help prevent future damage. For Acne Prone Skin. Acne is the most common skin problem in the United States affecting roughly 40-50 million Americans. For Sun Spots and Pigmented Skin Aging Skin. Specifically formulated for pigmented skin. For Acne Scars and Skin Damage. Specifically formulated for help eliminate scars and skin damage for smooth and clear skin. A ZAZEN VI Peel quickly and effectively addresses a range of skin conditions by exfoliating the damaged uppermost layers of your skin. It effectively erases imperfections and improves your skin’s tone and texture. VI chemical peels are packed with exfoliating acids and enzymes that are naturally derived from fruits, plants, and nuts. Beauty-oriented skin resurfacing has been around globally since the Middle Ages. From sour milk to pumice stones to cloth soaked in mustard, men and women have sought recipes to clarify and rejuvenate their skin. Today, many chemical peels derive from all-natural ingredients developed to help the skin exfoliate impurities and dead skin cells from its surface. The result is safe, inexpensive, facial skin rejuvenation. Chemical peels exfoliate the uppermost damaged layers of your skin. A solution is applied to your face to cause the dead skin to slough off and eventually peel. There are a variety of painless, VI aesthetics chemical peels available to treat your specific skin concerns. During a peel, you may feel a slight burning sensation that lasts 5-10 minutes. Depending upon the type of peel, a reaction similar to a sunburn occurs following the procedure. Peeling usually involves redness followed by scaling that ends within 3-7 days. Results continue to improve over 4-6 weeks. While noticeably vibrant and rejuvenated skin will appear following your first treatment, a series of 3-6 peels may be required to achieve your ultimate skin-resurfacing goals. Chemical peels effectively erase imperfections and improve skin’s tone and texture. Within 7-10 days, this quick and easy in-office treatment will reveal dramatically brand new skin. Your complexion will be firmer, clearer, healthier, and more youthful. Yes, a peel is very safe for your skin. You may experience mildly dry, red, or flaking skin for several or more days after your peel. Smooth skin, improve texture, stimulate collagen and elasticity, and improve your complexion for a dramatically healthier appearance. Microdermabrasion exfoliates the outer layer of skin, removing dead skin cells and improving the look and feel of your skin. This treatment smooths skin, improves texture, stimulates collagen and elasticity, and can improve the complexion for a dramatically healthier appearance. The concept of abrading the skin – or removing the uppermost layers for skin – dates back as far as 1500 BCE when Egyptians used the equivalent of sandpaper to smooth their skin. In the early 1900s, interest in the concept was renewed by German dermatologist Ernst Kromayer. But it wasn’t until the development of motorized dermabrasion in the mid-1950s that the treatment became commonplace. The modern version of the microdermabrasion machine was developed in 1985 in Italy. Since then, the system has been streamlined to be the simple procedure we know today. Microdermabrasion is a painless, non-invasive treatment that improves the look and feel of your skin. Damaged skin cells and impurities are physically removed from the skin using either a crystal spray or crystal-tipped wand. A microdermabrasion treatment typically takes between 30-45 minutes, though this can vary. The skin is cleansed to remove excess oil and dirt. An esthetician then targets a stream of fine, aluminum oxide crystals over the skin. The crystals abrade away dead skin cells while the vacuum picks them up with a gentle suction. This promotes the growth of collagen and new, rejuvenated skin. Moisturizers and sunscreen are then applied to the treated area. Microdermabrasion effectively erases imperfections and improves your skin's tone and texture. This in-office treatment will reveal brand new skin that is smoother and less wrinkled. Your complexion will be firmer, clearer, healthier, and more youthful. 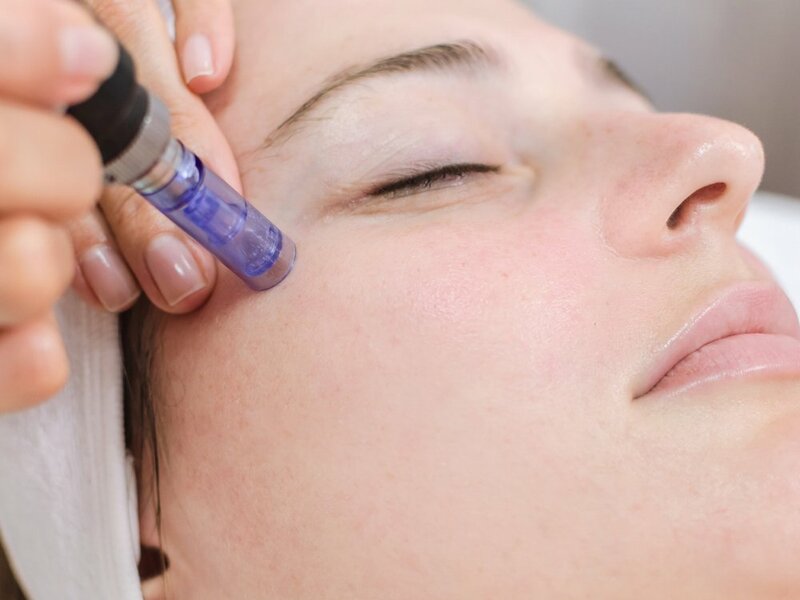 Occasionally, clients will experience a slight irritation or redness immediately following microdermabrasion, but this typically dissipates quickly. Gently exfoliate the tired skin cells of the surface layer of your skin. Dermaplaning is a safe and simple treatment utilizing a surgical blade to gently exfoliate the tired skin cells of the surface layer of your skin (epidermis) and rid the skin of fine vellus hair (peach fuzz). The practice of exfoliating the skin is an ancient practice, and the concept of dermaplaning is a relatively modern one. The first dermaplaning surgical blade was patented by Biomedic in the late 1990s, popularizing an effective solution for dull skin and fine lines, and rejuvenating the skin with no downtime. Stimulate your body’s natural healing factors and form new tissue layers of elastin and collagen fibers. Microneedling creates microscopic breaks below the skin’s surface to create platelets that release a series of growth factors. This technology aims to stimulate your body’s natural healing factors and form new tissue layers of elastin and collagen fibers. The channels made by the microneedles also allow topical serums to absorb more effectively into the top layer of your skin. The concept of skin rejuvenation through the penetration of needles can be connected to the ancient Chinese practice of acupuncture. Combined with the German development of dermaplaning in the early 1900s, Collagen Induction Therapy (CIT) aka microneedling was born. The handheld roller was covered with micro-sized needles and rolled over the skin to penetrate the skin and induce the healing agents of collagen and elastin. By the late 1990s, North American dermatologists incorporated the technology of the tattoo gun to provide a seamless stamping effect to the upper dermis of the skin. The Syneron-Candela Gentlemax Pro® laser system delivers a broad spectrum of light beneath the skin’s surface to reverse the signs of sun damage, age spots and hyper-pigmentation. *First time clients must book a consultation prior to service. The Syneron-Candela Gentlemax Pro® laser system is recognized as a premiere choice for reversing the signs of sun damage, age spots and hyper-pigmentation. The fast and powerful 755nm Alexandrite laser combined with the 1064nm Nd:YAG laser results in high performance treatment capabilities in terms of speed, efficacy, ease-of-use, outstanding performance, safety and patient satisfaction. Studies have shown that the laser is efficient for skin rejuvenation due to its ability to provide long-lasting stimulation of elastin. It will also increase collagen production, resulting in clinically improved skin tone and texture. Dr. Shimon Eckhouse is a co-founder of Syneron and a co-developer of the proprietary elos technology on which Syneron’s aesthetic medical devices are based. Dr. Eckhouse was also the inventor and developer of IPL technology, another fundamental cornerstone of non-invasive aesthetic medical devices. The dual wavelength laser platform of the Gentlemax Pro® is a single consolidated system that delivers a range of treatments: all skin type hair removal, as well as pigmented and vascular lesions. The GentleMax Pro® is a single consolidated system created as a dual wavelength laser platform that combines the fastest and most powerful 755nm Alexandrite laser with the 1064nm Nd:YAG laser to deliver an intense beam of light, which is absorbed by the skin and converted to heat. The heat is then absorbed by the cells being targeted, while the surrounding tissue remains unaffected. The laser helps to stimulate collagen regrowth, smooth fine lines, shrink pore size, fade scarring, and even-out rough skin texture. The heat generated during the treatment reduces unwanted redness in your complexion. The treatment is often described as relaxing and comfortable. You will experience a gentle warming of your skin’s surface during the procedure as the laser hand piece is held above the skin and moved back-and-forth in a zig zag. You can resume normal activities after a procedure. For best results, 3-6 treatments spaced about one month apart are necessary. The number of treatments required depends on the severity of the skin condition. Visible results become apparent after just one treatment. In the weeks following, skin is more evenly toned, pore size is reduced, and there is a noticeable reduction in the appearance of age spots, discoloration, broken blood vessels, acne, redness, fine lines, and wrinkles. The result after a series of IPL treatments is clearer, younger-looking skin. The downtime with the GentleMax Pro® is dependent on the amount of underlying damaged cells the you may have. The darkened spots can be covered with makeup, but require 5-7 days to fully slough off. However, the redness will subside in a couple of hours. The Syneron-Candela Gentlemax Pro® laser system stimulates collagen production, improves skin’s texture, reduces wrinkles, and more for an overall healthier skin complexion. The Syneron-Candela Gentlemax Pro® laser system is recognized as a premiere choice for reducing unwanted facial redness. The fast and powerful 755nm Alexandrite laser combined with the 1064nm Nd:YAG laser results in high performance treatment capabilities in terms of speed, efficacy, ease-of-use, outstanding performance, safety and patient satisfaction. Studies have shown that the laser is efficient for skin rejuvenation due to its ability to provide long-lasting stimulation of elastin. It will also increase collagen production, resulting in clinically improved skin tone and texture. The treatment is often described as relaxing and comfortable. You will experience a gentle warming of your skin’s surface during the procedure as the laser hand piece is held above the skin and moved back-and-forth in a zig zag. You can resume normal activities after a procedure. The GentleMax Pro® Laser can help restore a more youthful appearance to your skin by smoothing out uneven tone and texture caused by aging, sun damage, or scars. You will see a healthier complexion as large pores are reduced in size and minor imperfections are diminished. A single treatment is effective, but subtle. Multiple treatments can lead to dramatic results. Yes it's completely safe! The most common, if any side effect, is slight redness that disappears within a few hours after treatment. The eTWO laser acne treatment effectively reduces the appearance of acne scars for all skin types. The Syneron-Candela eTwo® laser system combines the unique Sublime and Sublative applications for comprehensive facial rejuvenation. Sublime™ uses the elōs combination of safe and effective levels of infrared light and bi-polar radio frequency energies to remodel the deep dermal layer of the skin by stimulating new collagen growth. Sublative™ fractionated bi-polar radio frequency technology places the heat energy effectively into the upper dermis where it can produce a significant increase in both collagen and elastin with minimal epidermal disruption. Dr. Shimon Eckhouse is a co-founder of Syneron and a co-developer of the proprietary elos technology on which Syneron’s aesthetic medical devices are based. Dr. Eckhouse was also the inventor and developer of IPL technology, another fundamental cornerstone of non-invasive aesthetic medical devices. The combination of infrared light and radio frequencies found in the eTwo® system delivers a range of safe and effective treatments. During the treatment, many patients feel a warm, prickly sensation. Topical esthetic ointments and cooling can be used to reduce any discomfort during treatment. The results are immediately visible with no downtime. These treatments are perfect for all skin types and ideal for patients seeking a glowing and smooth complexion but can't afford the days of downtime often associated with other energy-based treatments. Any patient who is looking to improve texture (acne scars, pore size, fine lines and wrinkles), tone, and tightening and over all luminosity is a candidate for a Sublative treatment with eTwo. Skin Rejuvenation with eTwo revives your skin for a more youthful, healthy looking appearance. Eliminate unwanted facial & body hair using the fastest, safest, and most effective hair reduction technology on the market. The desire to remove unwanted hair is nothing new. In ancient Egypt, seashells were made into tweezers so hair could be plucked from their bodies. Theodore H. Maiman designed the first laser for hair removal in the 1960s, but it took nearly 40 years for scientists to improve the laser hair removal system to be most effective. By the early 2000s, the FDA approved the very first home laser removal system. Laser Hair Removal works by sending targeted laser energy to hair follicles and disabling them. The laser energy is attracted to the pigment of the hair and after a series of treatments, the hair follicle is permanently damaged. The hair is then permanently reduced. 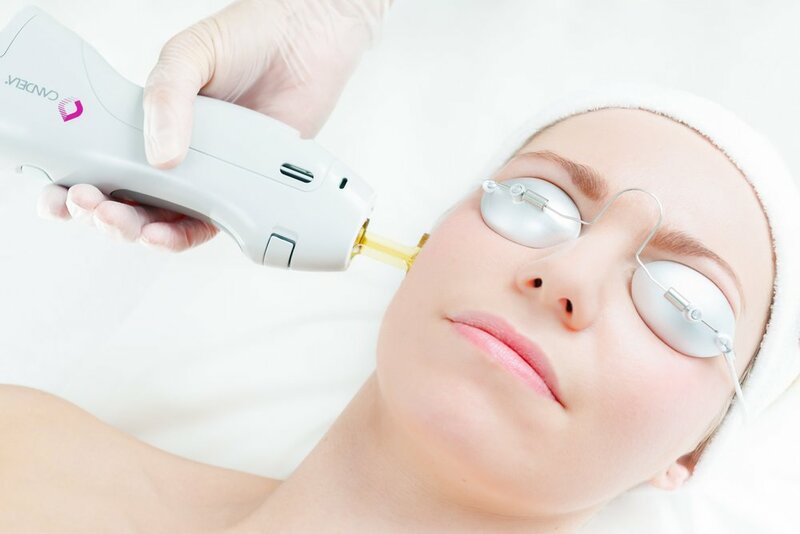 During the treatment, the laser is pulsed for only a fraction of a second. The duration of each pulse is just long enough to damage the hair follicle. The hair treated with laser hair removal will typically fall out between 2-3 weeks after treatment. Laser hair removal can be used almost anywhere on the body except for around the eyes. Clients have noticed an average 80-90% reduction in hair growth. Results with laser hair removal are long lasting and permanent. Occasionally, conditions such as pregnancy, menopause, certain medications, or hormonal conditions can trigger new hair growth. However, the new growth will be much lighter in color and finer in texture. Platelet-rich plasma holds growth factors that stimulate the production of collagen and tissue regeneration, delivering natural volume and a more youthful appearance. First time clients should book a consultation prior to service. The PRP Facial Rejuvenation is not a traditional surgical facelift. It is a cutting-edge procedure that uses Hyaluronic Acid (HA) Fillers and the body’s own natural healing agents: Platelet Rich Plasma (PRP) and growth factors derived from your own blood. The PRP contained in your blood holds growth factors that stimulate the production of collagen and tissue regeneration, delivering natural volume and a more youthful appearance. Platelet Rich Plasma (PRP) therapy has long been used in dentistry, orthopedic medicine, and reconstructive surgery. Now, the benefits of PRP are being applied to skin rejuvenation. Scientific studies spanning over 30 years document benefits including: new collagen growth, softened sun damage, and improved skin issues related to aging. Taking the traditional facial to the next level, PRP Facial Rejuvenation not only improves skin’s tone and texture, it restores your face’s shape as younger skin is generated. PRP Facial Rejuvenation is a procedure which utilizes a combination of HA Fillers and PRP carefully injected into strategic areas of the face to reduce wrinkles, add youthful volume, and improve the overall quality of the skin. This combination fills out existing tissue and facilitates the growth of new fatty tissue and collagen. A small amount of blood is drawn and processed in a special centrifuge. The processing separates the nutrient rich platelets from the blood. A topical anesthetic is then applied to your face. An HA Filler is injected to sculpt specific areas of the face. Then the nutrient rich platelets and growth factors are injected back into your skin to increase volume and rejuvenate your skin. The PRP Facial Rejuvenation restores supple skin immediately with the addition of HA Filler. Skin renewal, rejuvenation, and collagen stimulation continues for about 3 months after the procedure. Natural-looking results can last up to one year or longer. The treatment is very safe. This is a minimally invasive procedure using the PRP derived from your own blood, removing any risk of allergic reaction. There may be some mild swelling and bruising that will subside in a few days. It is performed quickly, without surgery, and in the privacy of our office. BOTOX® is a neurotoxin that is strategically injected into facial wrinkles to minimize their appearance by relaxing the muscle. We never underestimate the power of self-love. If you working hard to make sure the whole of you is healthy and happy, you sometimes need an extra boost to show the world how great you feel. By reducing the muscle activity, the application of Botox greatly improves the look of frown lines between the eyebrows and crow’s feet by the eyes. First discovered by the Belgian scientist Emile Pierre van Ermengem, clostridium botulinum was later isolated into crystalline form by Dr. Edward Schantz. During the 1970s, while using botulinum toxin to treat cross-eyed monkeys, scientists noticed it reduced the skin wrinkles between the eyebrows (the glabella). Thus, from the late 1980s to present day, the FDA approved various facial lines and wrinkles to be treated with what we know and call, Botox. BOTOX® works by blocking transmission of nerve impulses to the muscles in the chosen area, preventing the muscle from receiving the message to contract. Their effects are confined to the injection site and do not travel throughout the body. You can expect to see a smoother, more youthful appearance after the injections. Following treatment, results are visible within 3–5 days. However, it can take up to 2 weeks to see full results. Botox is long-lasting with results for 3-5 months. Yes! Botox has all been aggressively tested and are approved by the FDA. Clients can receive treatment and return to normal activities right away. Dermal Fillers, “fill”the area under the skin to restore collagen lost in the normal aging process. Giving your skin a little extra attention is something you deserve. Fillers are a highly popular, nonsurgical procedure: they instantly increase volume, and give youthful fullness to the face with little-to-no downtime. ZaZen offers the most advanced fillers on the market today: Juvederm®, Voluma®, Volbella®, and Vollure®. Not long after the invention of the syringe in the late 1800s, chemical agents started being used to augment the face. The first filling agent used was paraffin. After decades of research, the FDA has approved a range of safe injectable filling agents that are long lasting, affordable, biocompatible, and natural-looking. Fillers are made up of natural acids, synthetic acids, and calcium. They are injected into select facial lines to add volume, correct contours, and minimize wrinkles. Fillers can last anywhere from 6 months to 2 years depending on the Filler you chose. Getting Fillers is super simple. They are injected into the targeted area beneath the skin using a small needle. You may experience some swelling or minor bruising, but it’ll fade within a few days. Fillers can last from 6 months to several years! Fillers are designed to effectively reduce the appearance of fine lines and wrinkles, contour the face, increase volume, and plump your lips. You will see an immediate youthful fullness in area injected. Fillers are completely safe! There is no downtime at all, and you can resume your normal day right away. You'll likely experience some swelling or a little bit of bruising, but it should fade within a few days.